Introducing the latest addition to the versatile ArcPad™ range, the ArcPad™ Zoom 48MC brings a powerful electronic zoom with high output MultiChip technology, increasing the number of suitable applications. Beam angles can be electronically adjusted to give both dynamic effects for façade illumination as well as extremely accurate focusing for static lighting schemes. 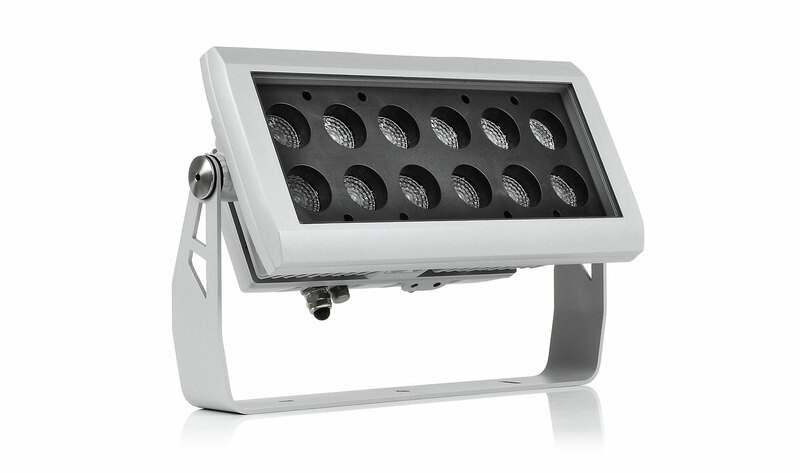 Combining an IP67 rating with a IK10 rating ensures the fixture can withstand virtually all climatic conditions. Unique with remote motorised 8°-44° zoom optics for precise beam control in fixed & animated installations.